A Muse is old-fashioned. Who talks about their muse anymore? From ancient Greece to early 20th Century, artists talked about muses, but perhaps now because of computers and electronic communication, that ideal no longer matters. Now there’s a rock band that names itself “Muse.” Not quite what I had in mind. In ancient Greece, the muses were the goddesses who inspired literature, poetry, and art. So here’s some goddesses from the Getty Museum in Los Angeles. I wandered through a lovely afternoon there with my sister and niece on our California trip. 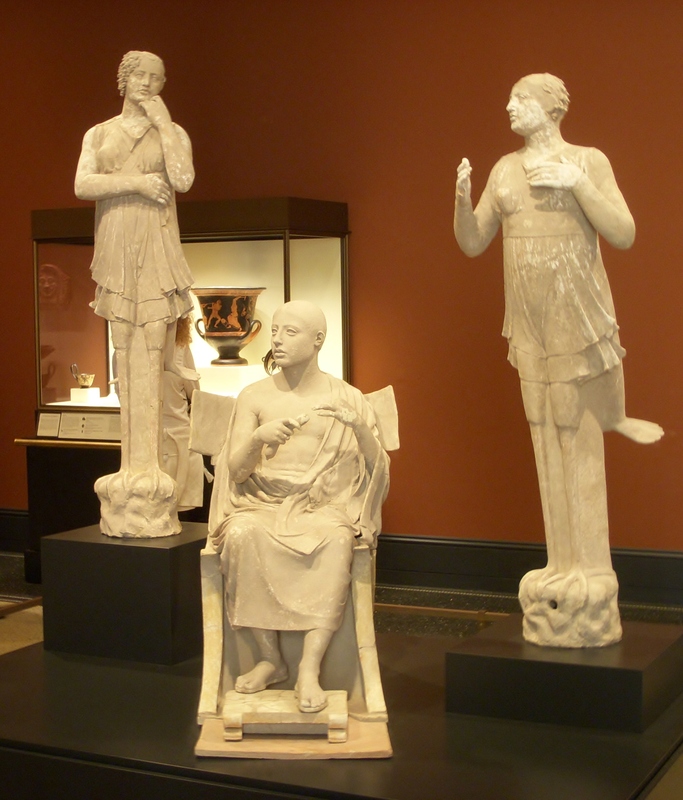 The first photo is of Orpheus – and it’s posited that he once held a lyre. On each side are his musical muses. The one on the left seems to be considering a note. 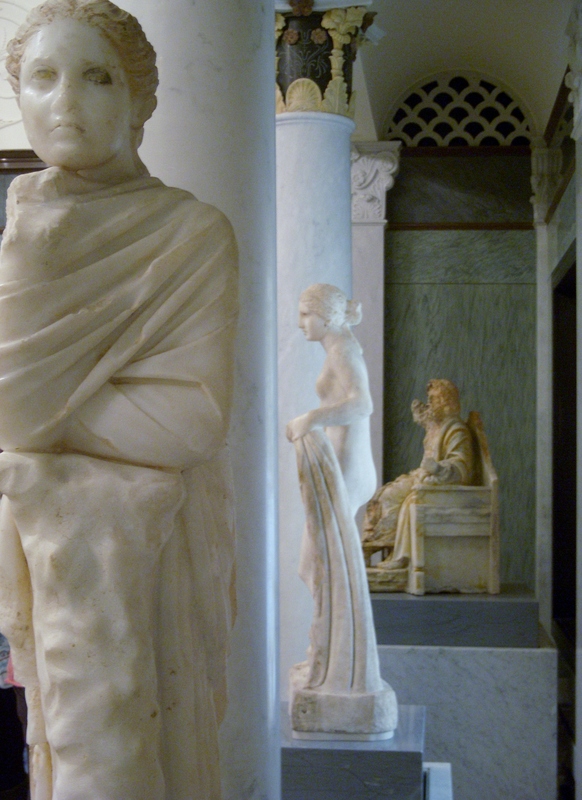 The second photo has the same Greek marble, the same muses, only the room was filled with them, circling the four wall. And a philosopher, if I remember correctly, sitting in the corner. Nice museum, the Getty. And the balconies look out over the sea. How appropriate for these ladies. Thanks LeRoy – it was an interesting room. And I love the look of old marble.